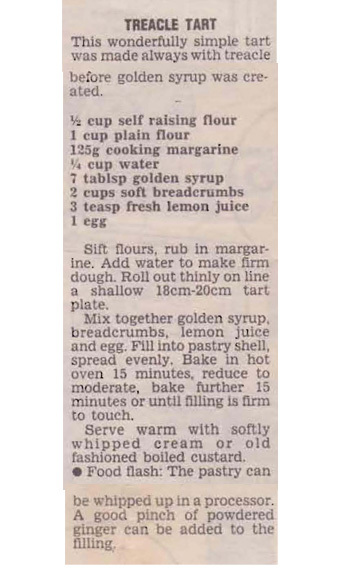 A friend was giving lemons away this morning, so it seems like a good time to share this recipe. 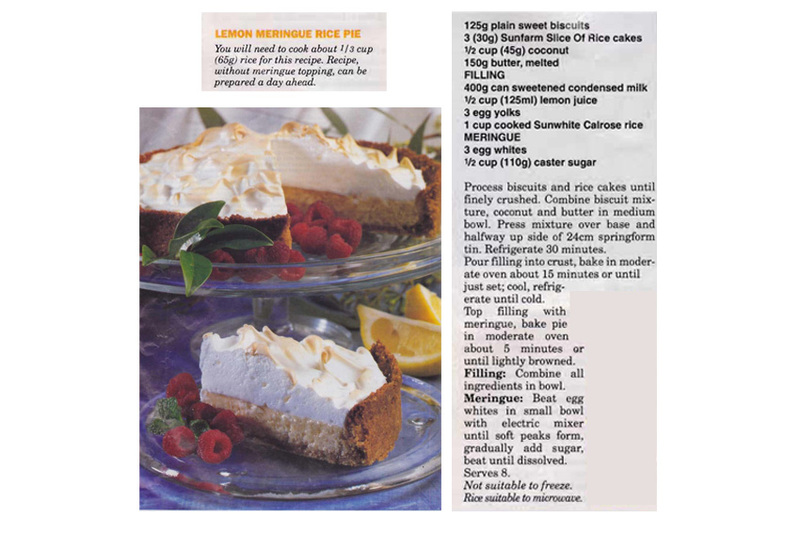 The filling is a coconut lemon curd and sounds yummy. I also like the idea that you can freeze any leftovers, if there are any that is!! 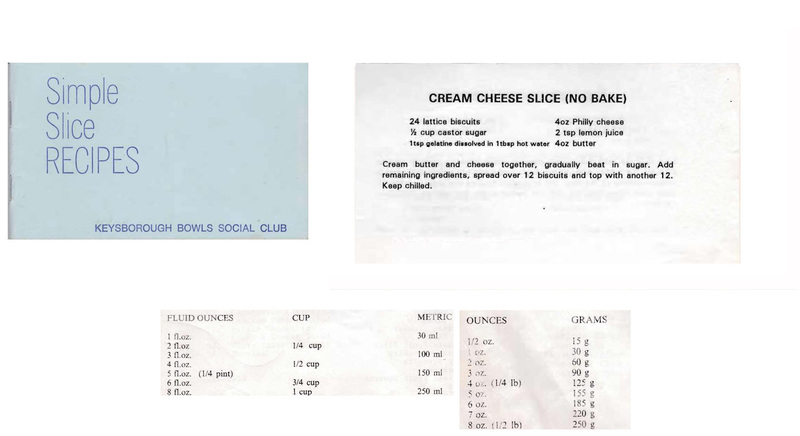 As you can see this recipe is from the Keysborough Bowls Social Club Simple Slice Recipe book. I’ve never made it, but I can remember seeing it on the table at a few “bring a plate” events back in the 70s when my kids were little. It’s sort of a fake vanilla slice – the plate was always empty at the end of the event it must taste good. 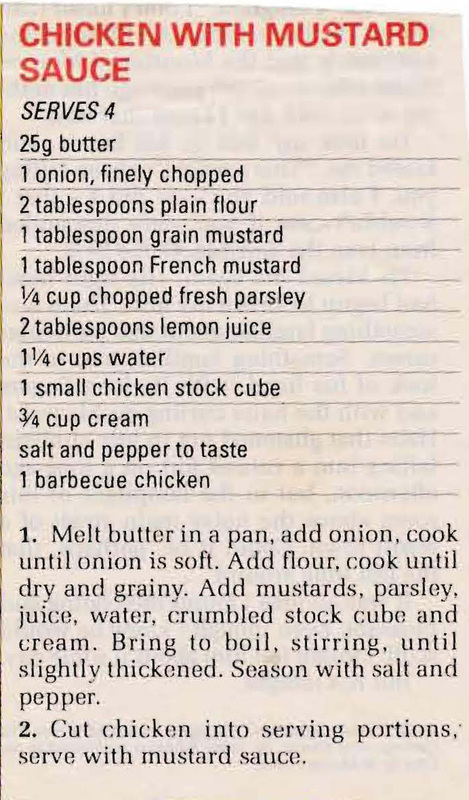 I like the sound of this mustard sauce it would turn a bought barbecue chicken into a quick and interesting meal. Great to serve for an easy lunch or dinner for visitors. I haven’t made this Treacle Tart, but it does look good. As the heading says the old original recipe would have used treacle, but this more ‘modern’ version replaces that with golden syrup. 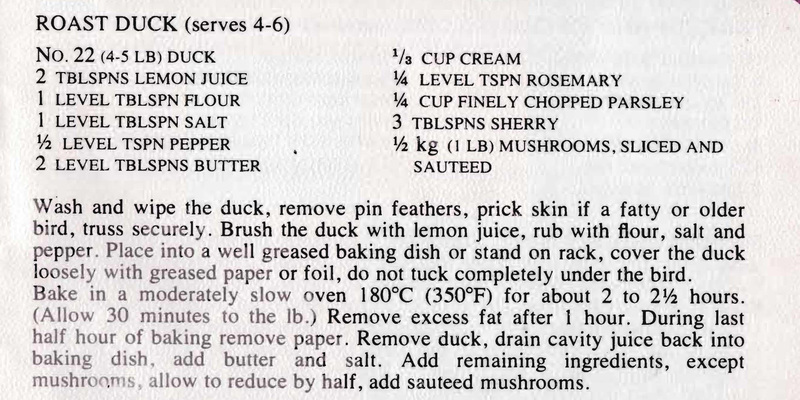 Quick and easy to make and luscious served with either whipped cream or custard, what’s not to like. 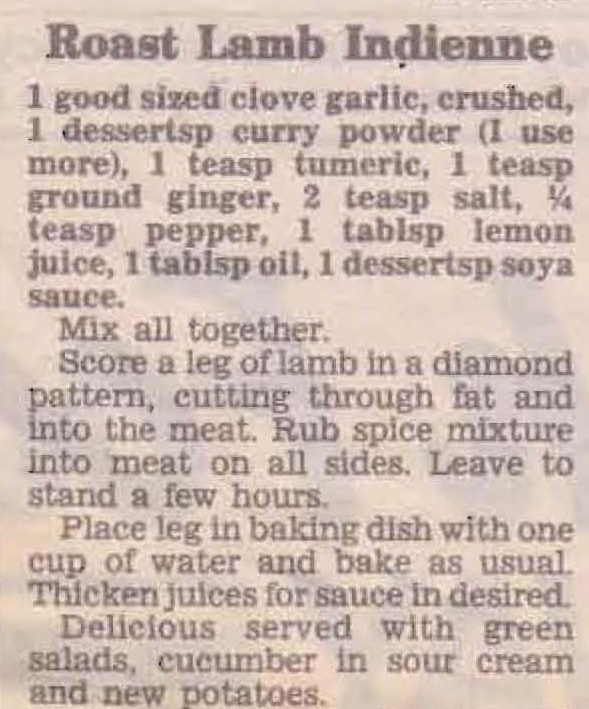 Mum collected this recipe from the Herald Sun back in the ’80s, back then her curries were always made with curry powder. This must have seemed a bit exotic to her – curry rubbed onto the skin of a lamb roast. Her lamb roasts were always baked plain and served with homemade mint sauce and, of course, gravy.